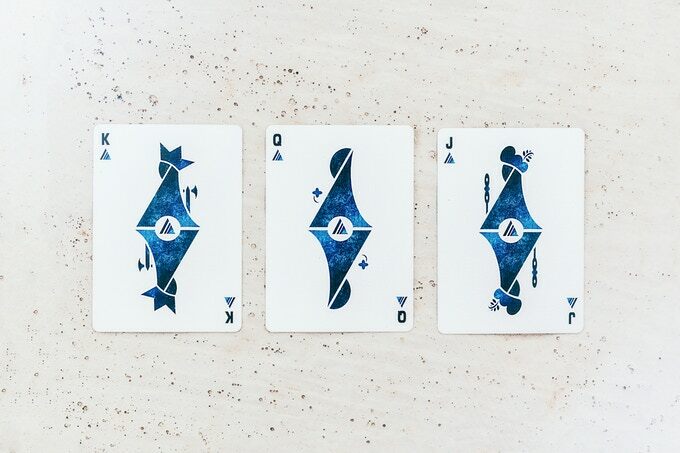 Odyssey Boreal Edition is the result of a one year trying to create something different to every deck of cards in this world but maintaining the essence of Odyssey and Feel the Universe. Me, as a Cardist and card designer wanted to design what my followers deserve it, not just a simple recolor but a second edition with a substantial change. Feel the Universe is much more than a card company. Same as First Edition, the back of this deck shows a diagonal stripe that crosses from the corners. In this case, Boreals have a turquoise blue nebula inside his stripe and edges, instead of the famous white stripe of the First Edition. This nebula reminds to the Aurora Borealis which is an incredible light show caused by collisions between electrically charged particles released from the sun that enter the earth’s atmosphere and collide with gases such as oxygen and nitrogen. Something amazing right? Be the first to review “Odyssey: Boreal Ed.” Click here to cancel reply.